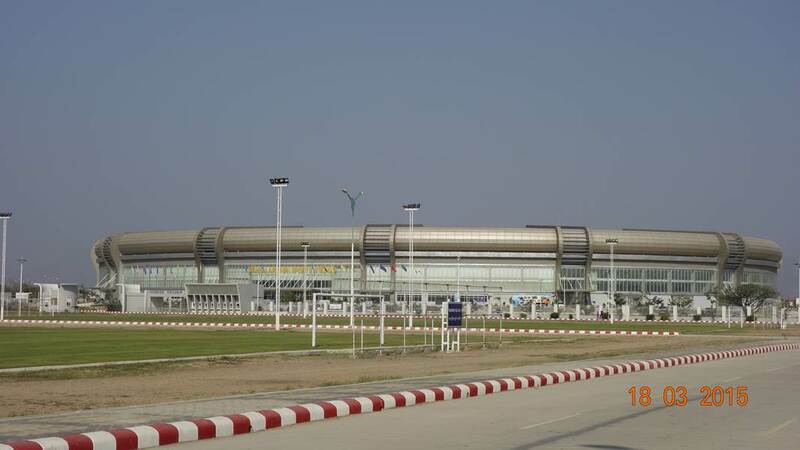 Although geographically it’s just south of central Mandalay, this location remained a vast farmland until the end of 2010. 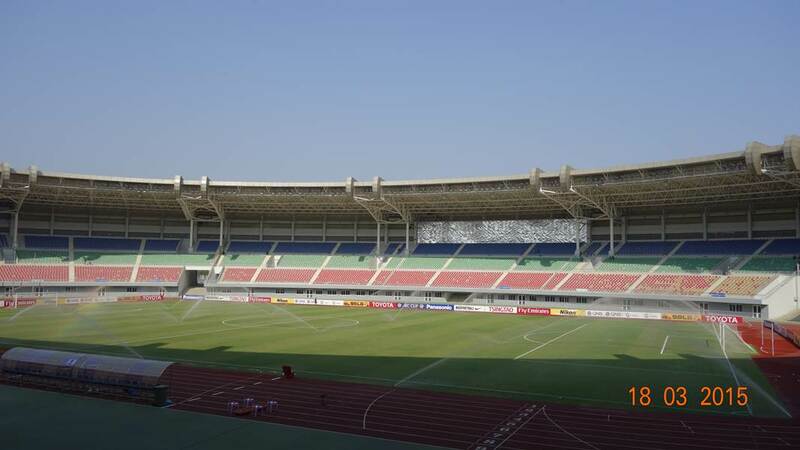 In January 2011 groundbreaking took place on a vast sports complex named Mandalar Thiri. 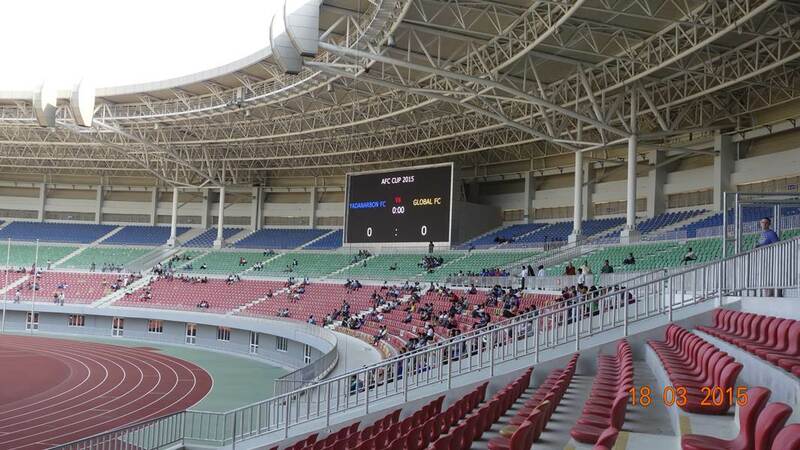 It took until Nov 2013 to deliver the project. 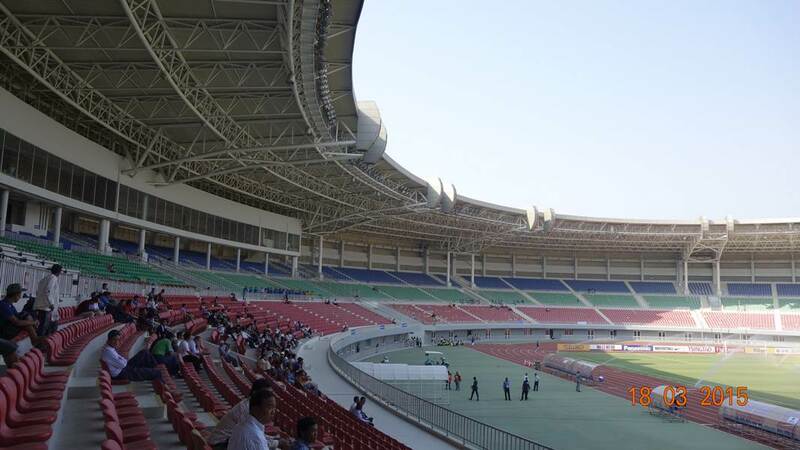 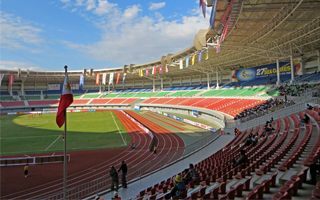 The stadium and surrounding facilities were built with the 2013 Southeast Asian Games, which were held in December of that year. 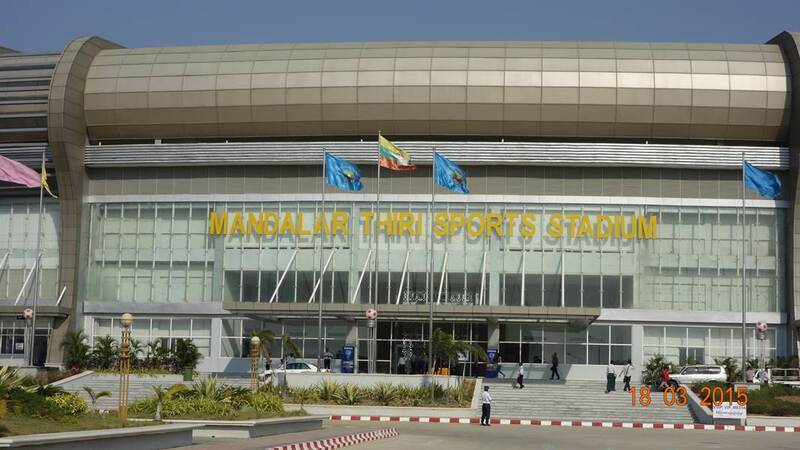 Mandalar Thiri served as one of three football stadia during the tournament. 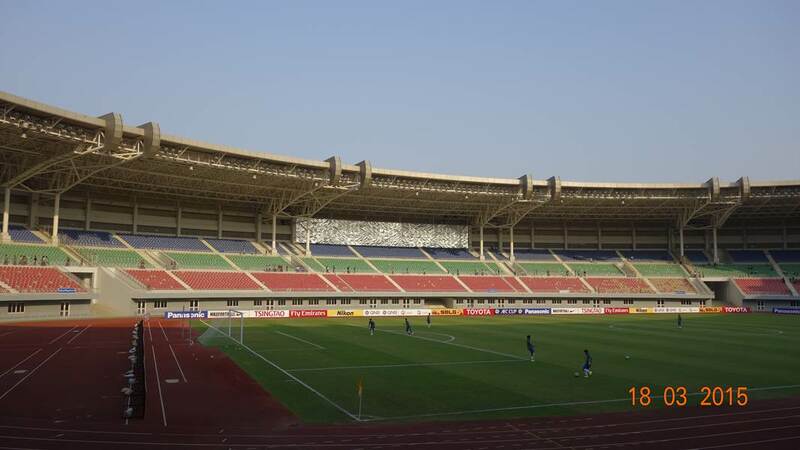 Interestingly, in fact uniquely in global scale, all three stadiums were built along the very same design (delivered in China), even with little alterations to the colour schemes. 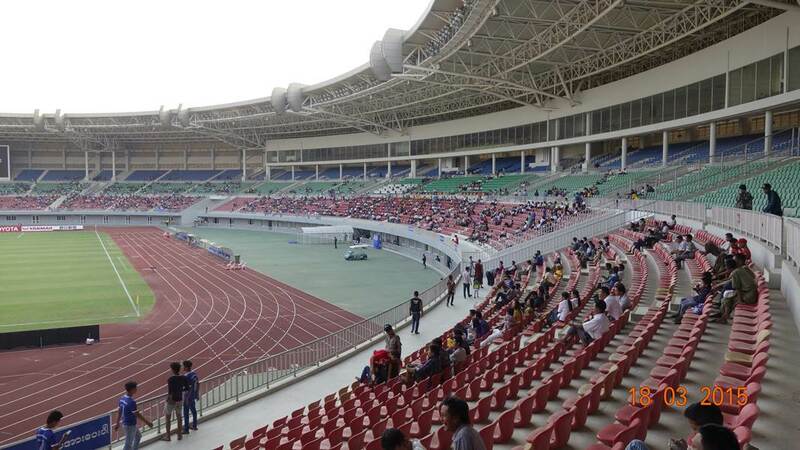 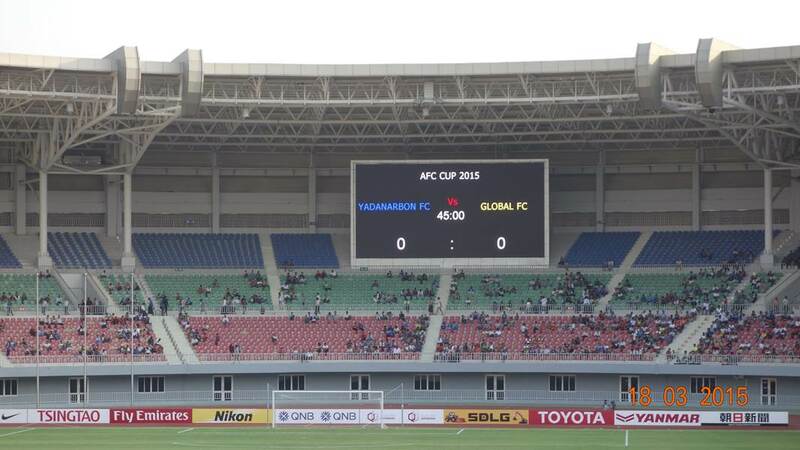 After the SEA Games, this stadium became one of two homes for local football team Yadanarbon FC. 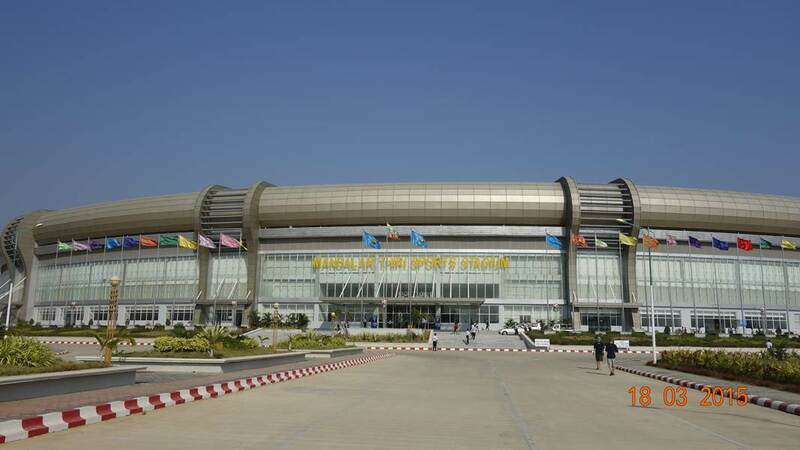 Thanks to 7 training fields it boasts the best training center for miles.